Sergey Kolesnikov recognised as the “Entrepreneur of the Year 2018” at the international competition “Entrepreneur of the Year” by EY at the Russian stage. On November 21, the results of the Russian stage of the international competition for entrepreneurs – “Entrepreneur of the Year” were concluded and Sergey Kolesnikov of the TECHNONICOL Corporation was recognised as 2018 Russian Entrepreneur of the Year. Following this accolade he will now compete for the International title in Monaco, in Summer 2019. The successes of the TECHNONICOL production company were also awarded by an independent panel in the Industry nomination. 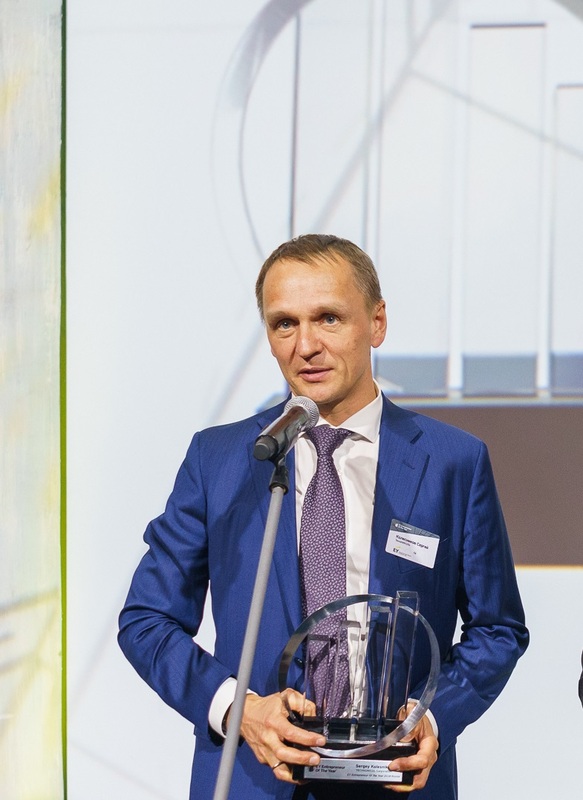 For Sergey Kolesnikov, this is the second award in this competition, the managing partner of TECHNONICOL was first recognised as the ‘Entrepreneur of the Year’ in the Industry nomination in 2013.